For one reason or another (mainly financial) just about every piece of music I gathered during the years 1978 to 1980 was recorded on cassette tape. For me, these were the Punk/New Wave years and I ended up with about eighty albums on tape. I got a job which entailed a lot of driving and the tapes all migrated to my car. All of them. Then my car was stolen. I got the car back but no tapes. Stick with me, this is going somewhere, just not where you expect. A good decade later I had a long conversation with a friend – one I had not known at the time – and the subject of punk rock came up. We talked about the music and the great singles and albums and it turned out our tastes had been similar. He had owned a lot of the stuff that had been on the tapes that were stolen. He offered to loan them to me so I could re-claim my past. But… Of course there’s a but. No decent story goes by without one. And the but was: But he had, like many young Irish men during the eighties, emigrated. And while he was away his siter had ‘borrowed’ his bedroom. She used his desk to study. His LPs had been stacked under the desk. She moved them – up against a radiator. The LPs warped. Just about every track one side one and two was unplayable. And, as he remarked, unfortunatley most of the tracks that could not be played were the tracks that had turned up as singles – the real soundtrack to ’78 – ’80. The other day I was reading a review in Uncut magazine – an august music journal that I can wholeheartedly recommend – of the fortieth anniversary re-release of David Bowie’s classic Ziggy Stardust album. The reviewer stated baldly that it started slowly with Five Years and Soul Love – an argument with which I could not argue. And it got me thinking about classic albums and singles and track one, side one. And naturally my mind also jumped to final tracks – because for me some of the greatest rock songs ever turned up last on the album – another reason I hate CD releases that contain ‘bonus’ tracks. You get a perfect album that brilliantly encapsulates a band’s message and captures a moment in time. You get to the last track – the original last track – perhaps something transcendental like Won’t Get Fooled Again on Who’s Next – and then you get some shite that wasn’t good enough to go on the original tacked on the end as your added value? In the case of Who’s Next it begins with a song called Pure and Easy previously unreleased (4.19). That’s four minutes and nineteen seconds of unmitigated, average muck that should have remained unreleased forever. 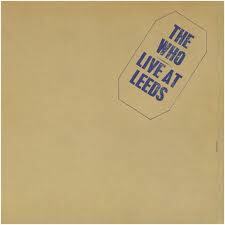 I bought The Who Live At Leeds on CD. I got additional tracks, ten minute versions of second-rate offal that missed the cut first time around. They didn’t miss the cut because there was no room on the vinly LP. Live At Leeds is a short album, the vinyl could have stood a couple of extra tracks. But whoever made the decision decided to release what amounts to one of the best live rock albums with just the right number of ***king great tracks. No padding, no filler. I played the reconstructed edition about five times and gave it away. The album was ruined for me and I doubt it sold well on CD – I bought it for €4.99 before it was a year old. I can still listen to Who’s Next on my Ipod because I have excised he ‘bonus material’ and I know when I hear the opening chords to Won’t Get Fooled Again that I have eight minutes of heaven before meet the new boss, same as the old boss and a fitting crescendo to one of my favourite albums. So I took a look at Bowie’s early albums – the good ones – and discovered he pretty much never topped the finisher on Ziggy – the wonderful Rock ‘n Roll Suicide. 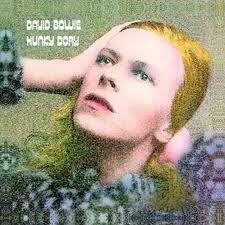 Hunky Dory kicked off with an all-time great in Changes and Station To Station began with the masterful title track. The return of the Thin White Duke can still bring chills. 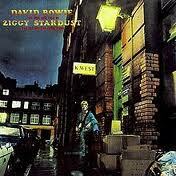 But most of his best songs are tucked away in the middle – Heroes track 3 and Life on Mars track 4. Rory Gallagher was a man who liked to front load his early albums with winners – take his two albums with Taste. The first one, Taste, begins with Blister on the Moon. My mate Dave Murphy will tell you the album track’s not a patch on the single, but the album’s all I’ve got to go by and that version is one of the most feral blues tunes ever to come out of Ireland. On The Boards, the second Taste album, begins with What’s Going On, two minutes and forty-four seconds of breathless attack. His first solo album starts with a personal favourite, Laundromat, that for me defines the commercial potential he avoided over the years. Simon and Garfunkel’s two stone-cold classics, Bridge Over Troubled Water and Sounds of Silence both feature the title tracks up front. They probably had little choice in the matter. Look at The Beatles early releases – three of their first four albums began and ended with – I hesitate to use the word in such contest – filler. 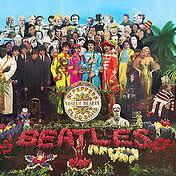 Album three – A Hard Day’s Night begins with the (number one hit single) title track, as does album five Help! But it’s only with Sgt. Pepper that they deliver a truly killer finisher – A Day in the Life, often cited as the best pop song ever written. And the last album they ever recorded, Abbey Road, ends with what might just be their true masterpiece a sixteen minute medley beginning with You Never Give Me Your Money and finishing with The End. I have a personal hankering for the last track on their last release – The Long and Winding Road, but I’m not going to argue classis status for it, though it would have set me up nicely for MY finale. If ever final tracks defined albums that defined a career it has to be The Doors. 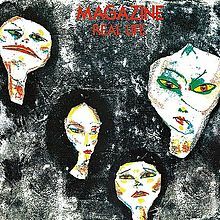 Their eponymous first album climaxes with The End which, forty-six years later, is still an astonishing achievemnet. And consider the bravery of putting a song like this on your first album. It couldn’t happen today – they would never be allowed to play it in the final of American Idol, so it would never get onto the album. 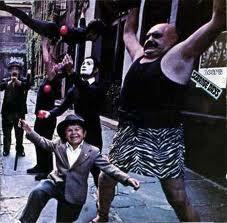 Their second LP, Strange Days, contained the eleven minute opus When the Music’s Over to complete proceedings. And that leaves us with the last track on the last Doors album, L. A. Woman, the mystical and atmospheric Riders on the Storm. If Jim Morrison had known this was to be his final statment he wouldn’t have changed a note of it. And when you think of this particular track in the context of an album, what could you have followed it with? I’m not claiming that it’s the best song in the world or even the best song ever to be placed last on an album, but I’d hate to try and justify putting anything else after it on any album that contained this song. And why would you? I can’t think of any better way to leave a record. This entry was posted in Music and tagged A Day in the Life, A Hard Day's Night, Abbey Road, Blister on the Moon, Bridge Over Troubled Water, Changes, David Bowie, David Murphy, Help, Heroes, Hunky Dory, L. A. Woman, Laundromat, Life on Mars, Live At Leeds, On The Boards, Riders on the Storm, Rock 'n Roll Suicide, Rory Gallagher, Sgt. Pepper, Simon & Garfunkel, Sounds of Silence, Station To Station, Strange Days, Taste, The Beatles, The Doors, The End, The Long and Winding Road, The Who, Uncut Magazine, What's Going On, When the Music's Over, Who's Next, Won't Get Fooled Again, YOu Never Give Me YOUr mOney, Ziggy Stardust. Bookmark the permalink. Hadn’t even occurred to me. 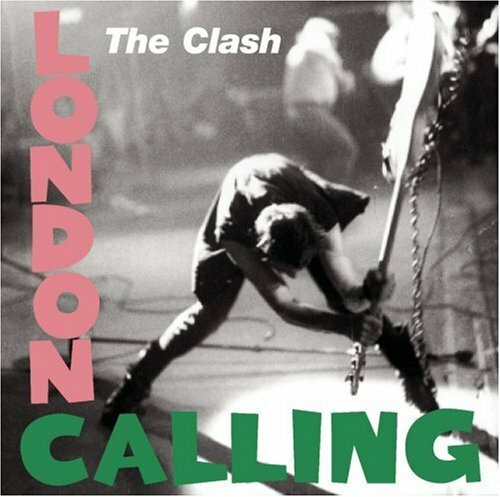 I was surprised how few absolute classic songs are track one side one. 21st Century Schizoid Man by King Crimson is one I meant to mention but it missed the flow and Shine on you Crazy Diamond by Floyd is another – though it deserves its own category as it also finishes the album. BTW – did you read Keith Richards’ bio? I really meant to give it a shot. Not yet, I’m waiting for a cheap copy to come into Chris’s shop. It’s on my list! It’s almost spooky listen to “Riders On The Storm” (nice video) today when Jim Morrison whisper-singing in the fadeout and all the instruments dissolves in the thunder, knowing that that was the last we gonna hear from him. The Doors was quite good with the “firsts” too: “Break On Through”, “Strange Days”, “Hello I Love You”, “Tell All The People”, “Roadhouse Blues” and “The Changeling” is all firm openers, I think. I agree they’re good openers but I think the three tracks I namechecked are the class of the Doors repertoire. Add LA Woman, last track side one of LA Woman and Light My Fire, last track side one on The Doors, and I think you’ve got as comprehensive a best of as you could want.